M. Fanton, C. Kuo, J. Sganga, F. Hernandez and D. B. Camarillo, "Dependency of head impact rotation on head-neck positioning and soft tissue forces," in IEEE Transactions on Biomedical Engineering. If you're about to run headfirst into something, your reflex might be to tense your neck and stabilize your noggin. But according to new research from Stanford University that may not be the best way to stave off a concussion. Instead, the findings suggest that your head's position is more important than whether you are tensing your neck. It all comes down to how your head accelerates backward after impact, which some think is the major factor controlling concussion risk. The work was published Aug. 20 in IEEE Transactions on Biomedical Engineering. "We found it really interesting that your soft tissue -- muscles, ligaments and tendons -- isn't doing much to dictate how your head is rotating immediately after an impact," said Michael Fanton, lead author on the paper and graduate student in the lab of David Camarillo, assistant professor of bioengineering. 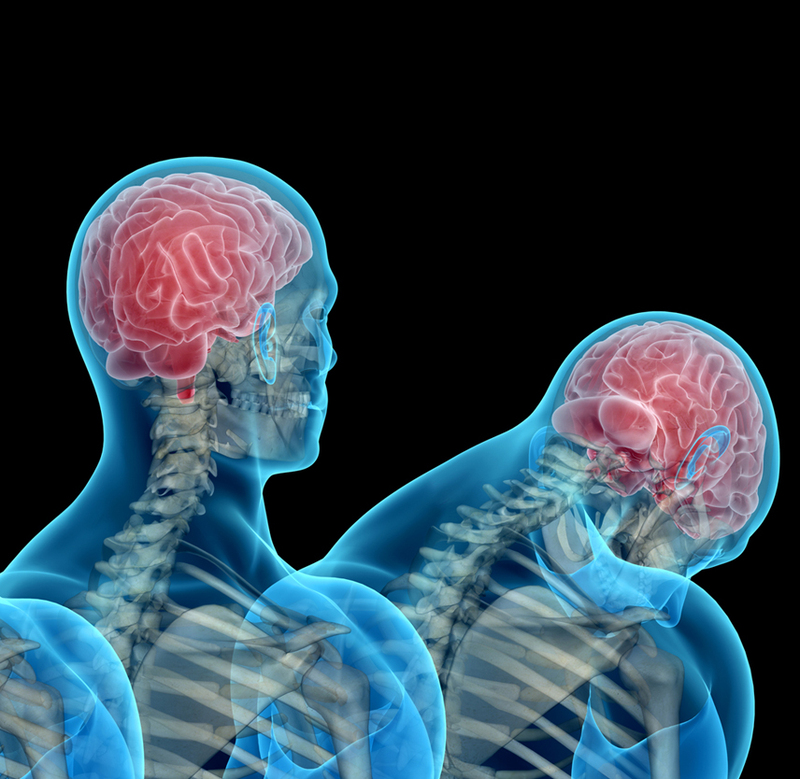 "Whereas even a few degrees of change in your head-neck angle can really alter how much your head is rotated and therefore, probably, your risk of concussion." The researchers made their discovery in a model of the human head and neck, but confirmed what they found in a similar model of a woodpecker, which can endure extreme accelerations when pecking holes. It turns out they too may be protected in part by the angle of their pecking. Posted on BrainLine August 27, 2018.